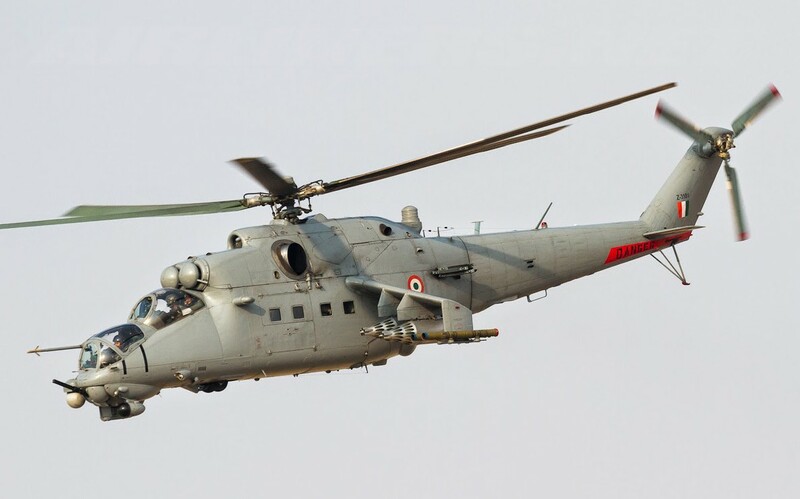 Mi-35 - the Russia-made assault anti-armour helicopter - will unleash its firepower in the upcoming Indian Air Force's (IAF) exercise 'Vayushakti 2019,' which is due to begin from February 16.. The helicopter can launch attacks with Shtrum missiles and rockets of different caliber, bombs & canon. The helicopter is made by Russia and it can carry eight troops and four stretchers too. The Mi-35 can attain a maximum speed of 315km/hr at 1000m. This helicopter can fly at a maximum height of 4,500m. The overall length of Mi-35 is 21.6m. Its wingspan is of 6.5m and height is 6.5m. The take-off weight of this helicopter in ferry configuration is 12,000kg.